Open five days a week, Monday through Friday, from 8:00 am to 8:00 pm Eastern Standard Time. 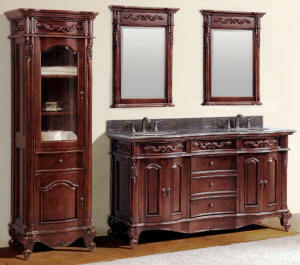 Contact us for Product Information or click on "Order Now" button above. Save Water. Save Energy! No more running the water tap till you get it hot to the touch! 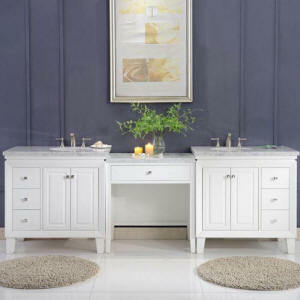 20", 21", 24", 30", 36", 42", 48"
-Arlington Vanity - Many Sizes! 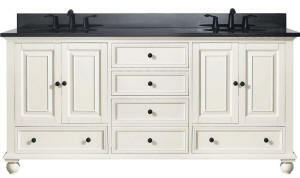 20, 24, 30, 36 & 48"
Get a FREE Quote Now - Today! 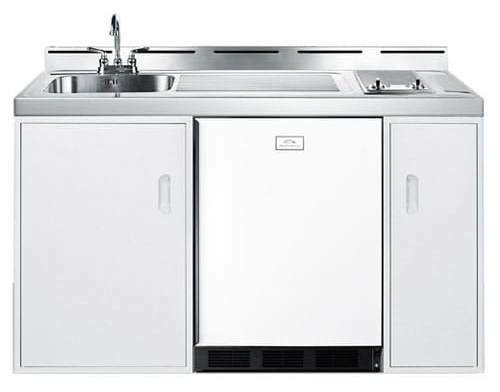 KitchenLav.com - Providing Superior Products at the touch of your mouse. 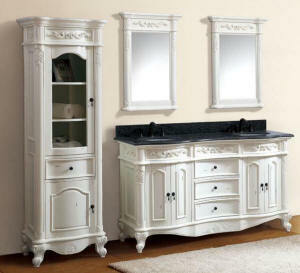 View modern style, Italian made bathroom furniture with available matching set storage linen towers. Choice of Red, Black or Wenge Wood Veneer. 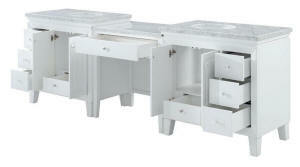 Can be installed as Wall mount or on Legs. 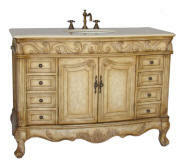 • Shop online at KitchenLav.com - Shop at home, at work, or on the road, with 24-hour access to suit your busy schedule. Open online seven days a week and weekdays 8AM to 8PM to speak to a live person by phone. • Truckload Savings - Enjoy even lower prices when you buy select single items by the truckload. 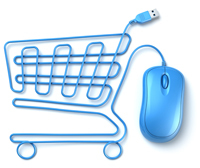 Order Online - Secure website transactions with SSL data encryption. Website security is essential and it's foremost in the minds of our customers. 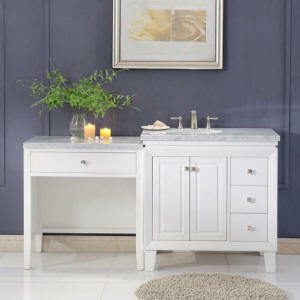 Complete your bathroom project with this beautiful looking Makeup Table and Sink Vanity Cabinet matched collection. 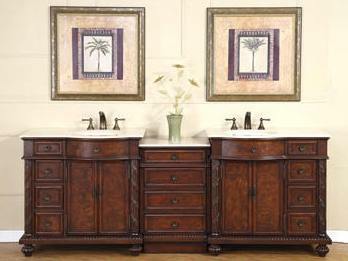 Shown above: 68" Mariana with Left Sink Cabinet, 103" Mariana Double Sink Vanity and 68" Mariana with Right Sink Cabinet. 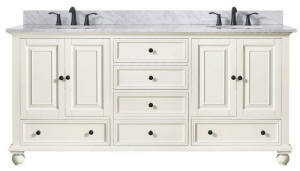 Ships fully assembled complete with Carrara White Marble Counter Tops and White Ceramic under mount Sinks.